GIGA GRANADA HILLS: Yes, It IS A Rainy Year! Yes, It IS A Rainy Year! 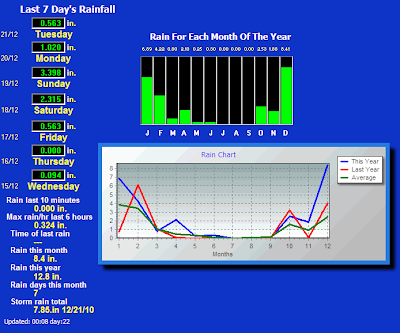 Data chart comparing this year to last year and to average rainfall in Granada Hills. It's nice having our own local weatherman!